RANGELEY - Franklin County Adult Education recently came out with their Spring 2019 listing of courses. 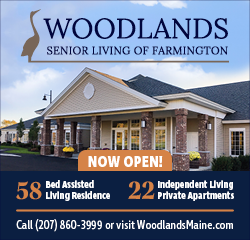 However for many the classes offered may be inconveniently located for Rangeley area residents. This is where Rangeley Adult Ed comes in. The Rangeley area is filled with not only an abundance of creativity and talent but also a real sense of community spirit. If you look around at both the locals and seasonal population you can easily discover that the sharing of knowledge is a natural instinct for many. The great thing about local adult education is that it doesn’t have to fit a certain mold. It is limitless. It can be held at various times, various locations and can run for many weeks or for just the length of an afternoon workshop. For example, classes in this year’s Franklin County Adult Ed. Catalogue include computer training, Rock Band 101, iphones & ipads, fly tying, welding, and cooking courses like bread making and a jam making workshop. In addition to wanting to hear from teachers, Rangeley Adult Ed is looking to hear from those wanting to learn something new. Perhaps you want to further your career by getting trained in a particular computer program, get your commercial driving license, pursue a nursing career, or maybe you are more interested in personal enrichment and have always wanted to learn French or American Sign Language. Rangeley Adult Ed wants to hear from you as well. Our mission is to further enhance our community while also helping everyone to reach their full potential. For some it’s a matter of completing their bucket list and for others it is a low cost resource to assist in their career advancement. Either way RAE will attempt to be the bridge to meet those goals. Adult Education courses through Franklin County Adult Education also offer core courses that include High School Equivalency Testing, college transitioning preparedness and resources, group instruction in math and writing as well as one on one tutorial services. If you have an interest you would like to pursue or if believe you can pass on your knowledge, Rangeley Adult Ed wants to hear from you. Please contact recently appointed Rangeley Adult Education Coordinator Stephanie Chu-O’Neil at schuoneil@mtbluersd.org or call 207 670-5240.